The Kenwood ProTalk NX-240V16P can operate in either analog FM mode or NXDN digital mode. This means you can migrate to digital technology easily, replacing your old radios with new digital radios at your own pace. For convenience you can assign a PF key to switch between analog and digital modes. Digital technology will give you better audio reception at the edges of coverage, longer battery life, clearer voice without background noise, as well as improved security features. Check out the full list of features on the 'Features' tab for this radio. Like this radio but need a UHF version? 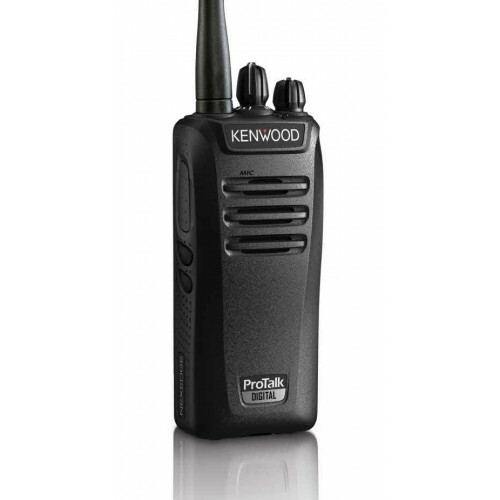 Take a look at the Kenwood ProTalk NX-340U16P.